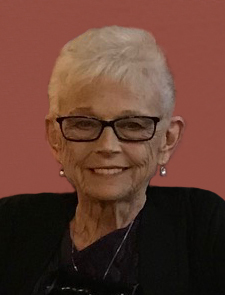 Adeline “Addy” Schnabel, 72, Stanton, ND, died June 20, 2018, at CHI St. Alexius Health, Bismarck, surrounded by her family. A funeral service will be held at 10:00 AM on Monday, June 25, 2018, at Our Savior’s Lutheran Church, Stanton, ND, with Rev. Dennis Ristvedt officiating. Burial will be at Our Savior’s Lutheran Cemetery. Visitation will be held from 2:00-5:00 PM on Sunday, June 24, 2018, at Buehler-Larson Funeral Home, Mandan, with a prayer service at 4:00 PM. Visitation will continue one hour prior to the service at the church on Monday. Addy was born May 27, 1946, in Mobridge, SD to John and Velma (Westbrook) Quenzer. Addy grew up and was educated in Pollock, SD. During her high school years, she stayed in Pollock and lived with Sis and Howard Sjomeling’s family, while the rest of her family had moved to the Black Hills area. From the time Addy was 10 years old, she knew a city boy named Gordon “Gordy” Schnabel. On June 13, 1964, they were married in Deadwood, SD. The couple then moved to Stanton, ND and started their family. Together they raised their three daughters. Addy later worked for Mercer county as Deputy Treasurer for 20 years. Addy’s grandchildren and great-grandchildren were her pride and joy! Her family was a priority in her life. Addy loved spending time in the kitchen cooking and was always willing to host a tea party for her grandchildren. She was known to have her kitchen open and her coffee pot on. Addy had many interests. She loved decorating for Christmas and spending time playing pool with her friends. She enjoyed gardening, taking care of her flowers, crafting, and selling Avon. She was a member of Our Savior’s Lutheran Church and active in WELCA for many years. In later years, Addy and Gordy joined with lifetime friends, Rick and Kathy Seymour, in Yuma, AZ, where she enjoyed the warmth of sunshine. Addy had weekly dialysis and touched the lives of many nurses, patients, and staff with her bright smile and her positive attitude. Her faithful companion, Gordy, never left her side through her physical trials in the last years. Addy will be deeply missed by all who knew her. Blessed to have shared her life are her husband, Gordy; three daughters, Danette (Ed) Maisey, Williston, Sally (Tracy) Wiedrich, Bismarck, and Cassandra (Dan) DuMond, Stanton; 12 grandchildren, Crystal, Desira, Josh, Jake, TJ, Celeste, Eddie, Sam, Lee, Whitney, Katie, and Aspen; 26 great-grandchildren; three sisters, Lorraine (Tim) Hagemann, Diane Hannah, Wilma (Gary) Hays; and three brothers, John “Buzz” (Diane) Quenzer, James (Mary) Quenzer, and Tim (Mel) Quenzer. Addy was preceded in death by her parents, and brothers-in-law, Tom Lester and Ron Hannah.